E.J. 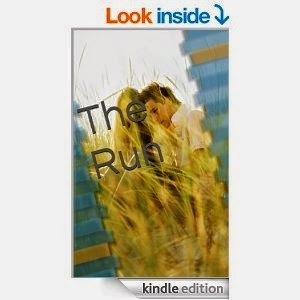 Summers' "The Run" is an engaging YA novel about the homecoming of 23-year-old Kristina Schultz and the drama that ensues when five years of secrets and emotions are brought to the surface. In addition to this central dilemma, Kristina faces issues with her critical mom, her brother, Andy, and his illness, with the sudden passing of her close Aunt Cecelia, with the parenting and relationship choices of Audrey, and with the wife and brother-in-law of the man she loved but waited too long to tell. Summers will have you engrossed in this story just as I was, from the interesting characters and plot twists, to the messages that are portrayed through Kristina's journey toward happiness. Key messages include: non-judgement, not to overanalyze things, paying attention to what others needs are, finding happiness, and overcoming things that are outside our control by realizing the power in our choices. If you like YA novels you'll love this wonderful story about a woman learning that it is perfectly all right to make mistakes.